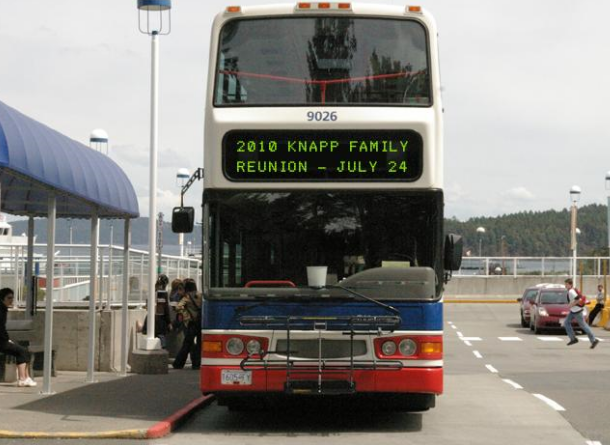 Check out the Reunion tab to read a few last minute instructions from Gary Knapp, our hard-working family association president. Also: I placed a few new recipes out there – still need more if we’re going to offer a cookbook next year, though. So keep those photos and recipes coming, folks! Another announcement: Mark and I purchased a new video camera so we can film at the reunion. Wait until you see the Knapp Channel on UTube! Silver Springs Park has the Bike and Hike Trail running right beside it. For those interested in taking a walk or a bike ride, that’s a great place to do it. Can’t wait until Saturday to see all of you there! Best wishes and God bless you all! This entry was posted in Portage County, Recipes, Reunion. Bookmark the permalink.